Is it time to replace the windows at your home in the Fort Walton Beach, Florida, area? If so, you may be overwhelmed by all of the many window replacement companies you can choose from. Make the easy call and partner with Majors Home Improvement, a professional window installation company that has been serving the Panhandle region since 1997. With us, you can count on top-of-the-line products, precise installations, and the kind of personalized customer service you’d expect from a local, family-owned company. 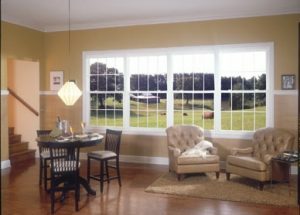 Our windows feature solid vinyl frames that won’t rot, rust, crack, warp, pit, corrode, peel, blister, or fade in color, and have a tilt-in sash to make cleaning a breeze. What this means for you is that your new windows will be incredibly easy to maintain and look beautiful year in and year out. Plus, they are energy efficient, which is a necessary benefit to the humid subtropical climate of northern Florida. Due to having insulated glass, multiple air chambers, and welded frames and sashes, these windows reflect excessive solar energy, keeping your home at a comfortable temperature without requiring a heavy reliance on your cooling system. If you’re ready to work with one of the leading window replacement companies in Fort Walton Beach, Let Majors Do It! Our installation team is made up of highly trained and experienced craftsmen who go the extra mile for our customers. They adhere to strict customer service protocols, which include showing up on time, working efficiently, and being mindful of your landscaping and pets while working. Contact us today to get your project started in Fort Walton Beach. One of our friendly representatives will be happy to schedule a complimentary in-home consultation at your convenience.